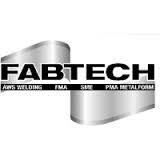 Precision Metal Stamping and Deep Drawn Stamping Manufacturer, Larson Tool & Stamping Company will be exhibiting in Atlanta at the FABTECH Expo 2014. Attleboro, MA -- (ReleaseWire) -- 09/10/2014 -- Based in Attleboro, MA, Larson Tool & Stamping Company is a trusted supplier of metal stampings to hundreds of companies in the United States. Larson offers a wide range of metalworking and metal stamping services - including forming, stamping, deep drawing, assembly, brazing, painting, coining and more. 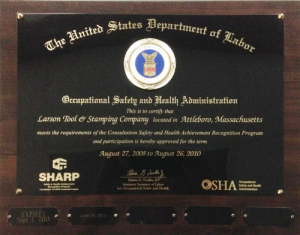 The United States Department of Labor awarded Larson Tool with the Safety and Health Achievement Recognition Program (SHARP) 2014 certification by the Occupational Safety and Health Administration (OSHA). Larson Tool & Stamping Company recently conducted its annual customer satisfaction survey, with a sample of its existing customer-base in a cross section of industries. The survey's purpose was to measure, using industry-speciic parameters/benchmarks, whether Larson Tool's level of performance and service quality matches their customers' perceptions and expectations and compares them with the perception of the service delivered by other metal stamping vendors. According to the 2013 Customer Satisfaction survey results, Larson Tool received high ratings with an average of 9.6 on a scale of 1-10, in all its spheres of operation, which included product quality, responsiveness, delivery, customer service and value. 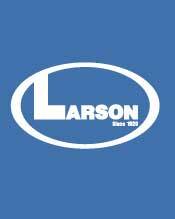 Larson Tool Expands Manufacturing Capabilities. Larson Tool and Stamping Company announces two exciting new developments - the acquisition of a Greenerd deep-draw hydraulic press line and the construction of a new 2,500-square foot manufacturing facility. 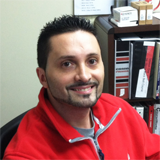 Larson Tool Company is pleased to announce the promotion of Manny Resendes to Quality Assurance Manager. Manny has been employed at Larson since 1996 and has worked in many capacities, including tool making, tool designer/CNC programmer, process improvement engineer and quality assurance. He holds many certificates including Lean Program Expert, with a Six Sigma Black Belt Certification in 2008. He is responsible for all elements of the quality function, including response to quality issues and the maintenance of Larson's TS 16949 certification. In his spare time Manny enjoys spending time with family and traveling New England. This high precision vertical machining center lets us take advantage of the latest cutter tool technology while reducing cycle time significantly. Larson Tool has taken advantage of the latest machining technologies to offer expanded capabilities and greater efficiencies. Over the past five years, various purchases have been made to accomplish this including a new W.E.D.M., a CNC Mill, and Lathe. To keep up with customer demands for shorter and shorter lead times, Larson made a commitment to increase capacity in the area of flat work. 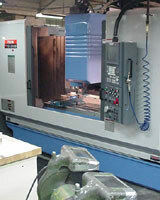 To facilitate this, a new Mazak 200B Vertical Machining Center was put online in September, 2002. This vibratory tumbling machine increases our mass finishing capability and provides an even higher degree of finish quality to the parts we supply. In response to our customers’ growing production requirements, Larson has added a Giant GB-20 vibratory abrasive finishing machine to our mass finishing department. With its spiral bottom and cast urethane separator screen, this unit features 100% separation of parts and media. 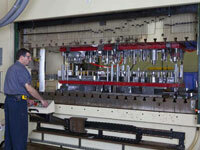 It was also supplied with a PLC-controlled, fully automated unload cycle and electronic variable speed. Together with new ancillary material handling equipment, this unit greatly increases our mass finishing capability, gives us capacity for larger parts, and helps us to improve the finish quality of the parts we supply to our customers. 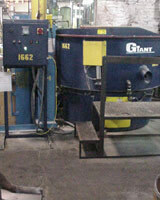 Our parts finishing capabilities are very diverse, from cleaning to deburring to burnishing and edge conditioning. We invite you to contact our sales staff to discuss how we can meet your requirements.